Sayings from the Fathers, 11-VII-2018. 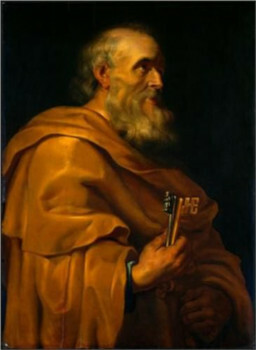 “And account the longsuffering of our Lord, salvation; as also our most dear brother Paul, according to the wisdom given him, hath written to you: As also in all his epistles, speaking in them of these things; in which are certain things hard to be understood, which the unlearned and unstable wrest, as they do also the other scriptures, to their own destruction.” 2 Peter 3:15-16. Previous Previous post: Sayings from the Fathers, 10-VII-2018. Next Next post: Sayings from the Fathers, 12-VII-2018.